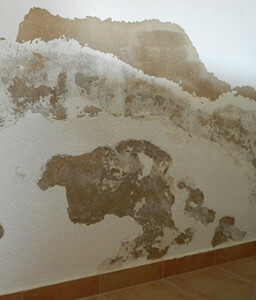 The action of dampness in the interior of houses is responsible for the development of a huge variety of anomalies, with consequent deterioration to buildings (coatings, plastering and paints). The main causes for the appearance of dampness within walls, floors and ceilings are mainly due to mistakes during the design and construction of a building, along with its poor maintenance. The excess of moisture creates conditions for the development of bacterias (moulds, algae, fungi, etc) that are harmful to our health. Humidity due to fortuitous situations: it is caused by accident, failures of equipment and/or lack of maintenance (e.g. : burst pipe or gutter, broken tiles, broken glasses or failure in sealing them, etc.). 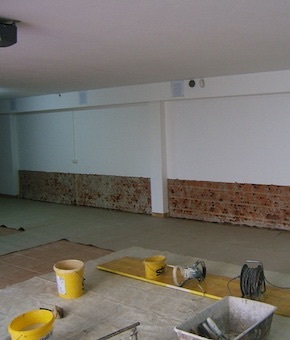 When solving problems caused by dampness, RenoBuild pays special attention to diagnosis and survey of pathologies, to enable the choice of the most efficient and least intrusive repair method. In addition to solutions that will protect the construction from the effect of water action (Eg. : thermal insulation solutions; cracking repair systems; waterproofing systems), RenoBuild provides solutions to solve the problems caused by dampness, namely by applying renovating plaster, by removing moulds, etc, to return the adequate sanitation conditions to the construction elements. Some moisture in the air is vital to our well-being. About 40%-60% relative humidity is the recommended household level but when the level reaches 70%-80% then condensation is likely to be the result. By reducing the amount of condensation in your home you will reduce the amount of black mould growth and house dust mites, thereby improving your living environment and, reducing your heating costs. Moulds are originated filament fungus colonies that live as parasites provided that there are organic materials and favourable humidity conditions. They look unpleasant and are dark coloured, usually greenish. Surface higher humidity content can originate mould in colder and less ventilated areas of a house. Simultaneously, when it occurs there is frequently a typical odour. Exposure to excessive humidity and mouldy environments increases health risks. Moulds can cause nasal obstruction, throat irritation, cough, eye, skin and airway irritation, and sometimes, allergies. 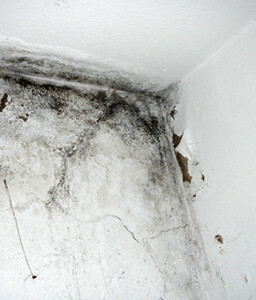 Mould can pose as an increased risk for people with impaired immunity or people with certain diseases. Efflorescence (superficial) and cryptoflorescence (masonry interior) arise from the simultaneous presence of humidity and water soluble salts. Subsequently, when water evaporates, these salts crystallize. Such phenomenon leads to a significant volume increase which causes coating blistering and its gradual deterioration. Parasitic plants development in several construction elements arises from the existence of permanent humidity. These plants appear as a consequence of permanent humidity and dust accumulation and deposition of seeds brought by the wind as these are the ideal conditions for its propagation. Draining deficiency, cracking, material detachment and disaggregation and maintenance absence are some of the most significant causes for the occurrence such plants.